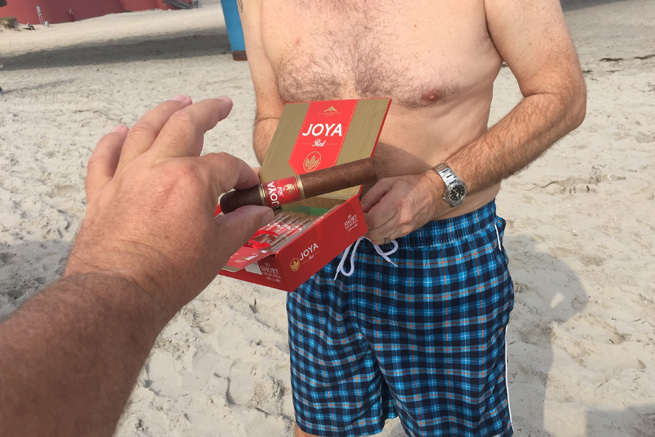 Have any plans with your buddies for the weekend? 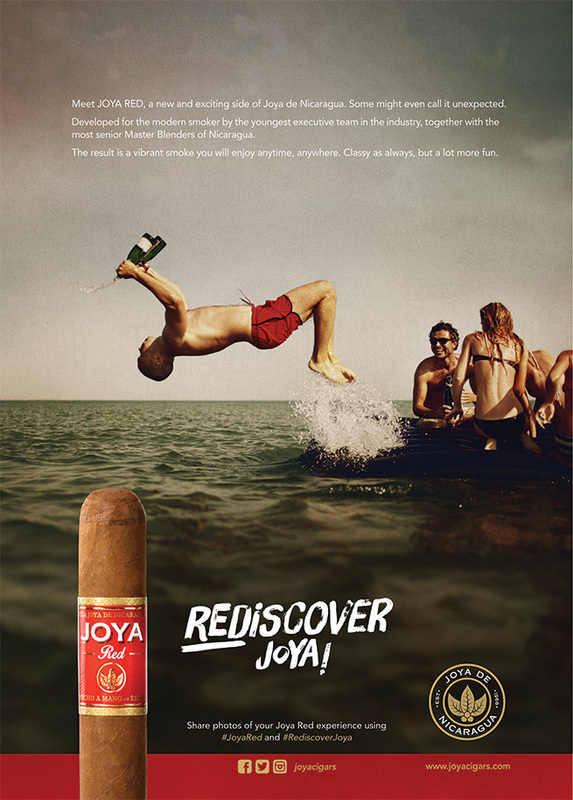 How about re-enacting the Joya Red jump from the printed ad? 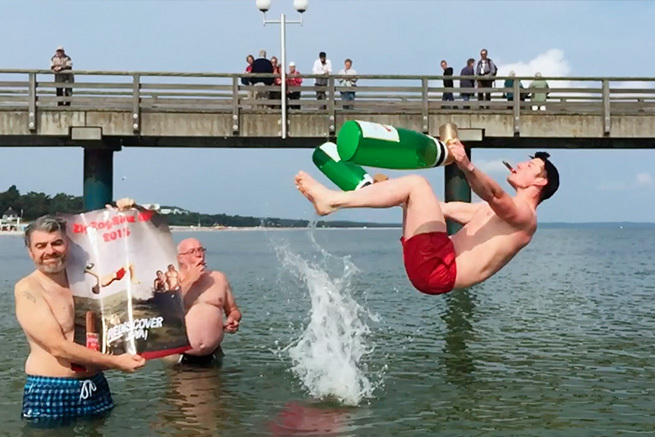 That’s what our friends from Loge Cigar Club in Germany decided to do for fun… even if the Baltic Sea was a bit cold. We deeply thank Yannik Czehak (the jumper), Dirk Wetzel, Daniel Vater, Arnold Filipczyk and Olaf Karpinski (the Club’s President). 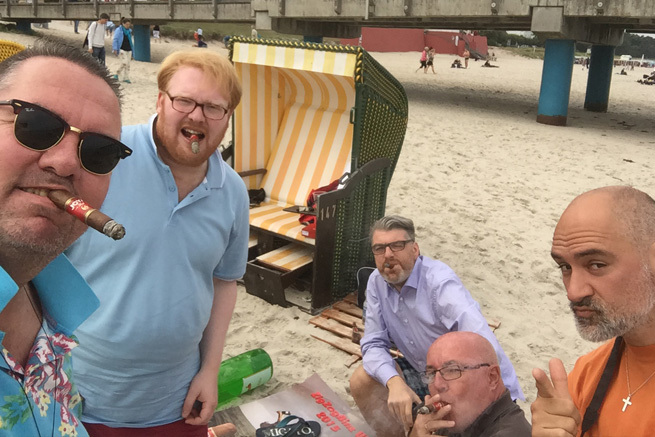 We had the pleasure to meet Olaf in Dortmund during the Intertabac tradeshow 2015, where he shared the video and photos with us, plus some fun insights on what went in the making. We also send special thanks to the one and only Annet Strutzberg and the whole team at Arnold Andre! *And just for reference, here is the original ad.